You know what it is you enjoy. You get into sports, fast-action and entertainment that's displayed in life like resolution. With a 600Hz refresh rate and HD picture quality, the PT350 takes that enjoyment and boosts it to new levels. 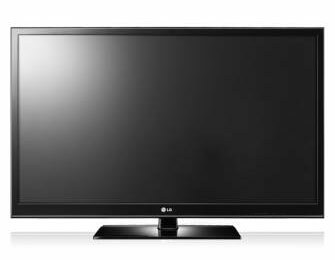 It is a HDTV standard which specifies the progressive scan resolution of 1024x768. This figure represents the vertical and horizontal pixels on screen. High Dynamic Mega Contrast Ratio captures blacker and crisper whites, giving you a detailed and dynamic picture. Simplink is a system which connects various audio/Video devices through a single HDMI cable. LG fleet of Plasma televisions features 600Hz Sub-field Driving Technology delivering you to the heart of the speedy action with razor sharp clarity. By displaying 12 sub-fields per frame as oppesed to the conventional 8, images are renderedin exceptionally rich details with zero motion blur from one split second to the next. The LG Plasma TV offer an upgraded USB terminal. USB 2.0 is also a very compatible interface that helps you to connect various types of memory card reader. Pnp(Plug & Play) feature allows easy-use of digital cameras, camcoder and MP3 players. The hot plug system also allows you to disconnect any device even whle TV is turned on.